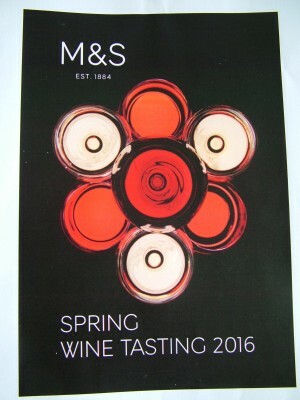 Marks & Spencer hold press tastings twice a year, usually with about 80 wines on show. There is always an eclectic range. This year it included wines from Uruguay, Brazil and Bolivia along with all of the usual wine-producing countries. My take on M&S is you pay a little more and get a little more in return. Certainly the range is better than their supermarket rivals. There were some sub-€10 wines, and these were fine, but as argued many times before, pay a little more, and you will be rewarded with a much better glass of wine. Below a short selection that will provide plenty of options for summer drinking. A very stylish fresh crisp dry rosé with clean raspberry and redcurrant fruits. Nice wine. A classic of the style, with quince and yellow fruits, plenty firm mineral acidity, and a dry finish. Drink with charcuterie or rich seafood dishes. I see O’Briens advertise the same wine at €17.45 though. I have written about this wine before, but I like the plump rounded easy ripe peach fruits and subtle acidity. Try it with herby or lightly spicy fish and chicken dishes. Classic white Burgundy from a producer in Puligny-Montrachet, with crisp citrus acidity, subtle grilled nuts, and medium intensity yellow apple fruits. With white meats. Bubble Brothers offer the same wine for €28.50. This is the sort of inexpensive French wine that I love – the red is pretty good too. A blend of waxy Semillon (20%) and racy Sauvignon gives a wine that is so much more interesting than a pure Sauvignon. Fresh, crisp, dry with waxy green apples. Made by de Martino from a mix of Muscat and Corinto grown in a 110 year-old vineyard. It has classic grapey Muscat aromas and fruit, good intensity and bone dry finish. A fascinating piece of history for €15. Amalaya are the people who own Colomé, the world’s highest vineyard in the same region. This blend of Torrontés and Riesling has always been a favourite of mine. Fresh crisp and beautifully fruity, with a bone dry finish. A great all-purpose wine, and great value too. The red version of this wine is possibly not quite as good as the white, but it still offers great value. Cool chunky plum fruits, with some dry tannins on the finish. Right up my street, and a perfect everyday wine to go with all sorts of red and white meats. Both red and white, made by Adi Badenhorst, one of the new stars of South African wine, offer great value. The red has lifted fragrant aromas, medium-bodied spicy dark fruits, and a rounded finish. Nice wine. German Pinot tends to be very expensive, the Palataia being an exception. This is a light fragrant elegant Pinot with a touch of caramel, red cherry fruits and good acidity. Drink cool over the summer months with salmon or tuna. The Uco Valley produces a more elegant juicy style of Malbec and this is a good example of the genre; deep colour, fragrant nose and lively ripe blackcurrant and loganberry fruits. This is made by Susana Balbo, one of the leading winemakers of Argentina. I loved the mix of ripe blackcurrant and savoury fruits with nice slightly grainy tannins. Perfect with your steak, or any other grilled red meat.